As Dang Duong walks across the stage to accept his diploma for his bachelor of science degree in microbiology and pre-medicine this June, he does so knowing he has pushed boundaries, overcome obstacles and exceeded expectations. He has made his mark at Oregon State University in science, social justice, student leadership, scholarship, research, global experiences, teaching and mentoring. Growing up in Clackamas, Oregon, as the only child of a single mom who did not finish high school, Dang is the first in his family to graduate college. His mom valued education and set her sights on her son’s education. While she hoped for a college close to home, Dang wanted to go a little farther afield to Oregon State. Encouraged by cousins who attended OSU, one of whom graduated in microbiology, Dang followed his lead. He leaned on them to help him navigate high school and college. “I wanted to redefine myself and break out of my shell,” said Dang who described himself as shy and timid in high school, traits that are not discernible in the exuberant soon-to-be graduate. His cousin pushed the idea of getting involved in a research lab early to gain hands-on experience and enhance learning. Given his tenacious nature, Dang emailed 13 faculty asking to work in their labs. He successfully landed in a research position in OSU’s virology lab in Dryden Hall where he worked for two years working on plasmid modified E. coli with polymerase chain reactions, protein expression and analysis. His sophomore year, Dang sought more challenges and gained a wealth of clinical experience. He landed a position in the Critical Care Academic Associate Program (CCAAP) at Oregon Health and Science University (OHSU), commuting to Portland every weekend. He gained invaluable experience working with patients in the areas of palliative and intensive care. In 2016-17, Dang worked as a research assistant in the Department of Medical and Molecular Genetics at OHSU. “The more research you can do, the better. You just hold onto the information better. It keeps you centered,” said Dang. Dang also acquired a litany of powerful experiential learning and leadership skills during his time at OSU. Since 2017, he has worked in the Office of Diversity and Cultural Engagement serving in an advisory capacity on several OSU boards and committees to promote diversity. Dang was employed as an account executive for Orange Media Network, promoting advertising for student media. He was a teaching assistant in a general microbiology lab course and in Advanced Anatomy & Physiology, working with mentor and integrative biology instructor Devon Quick. “I enjoyed the teaching side—teaching students how to learn the information and letting them learn it on their own. That’s what builds critical thinking,” remarked Dang. Now out of his shell, Dang wanted to experience as much of the world as possible. He loved traveling, new people and fresh experiences. 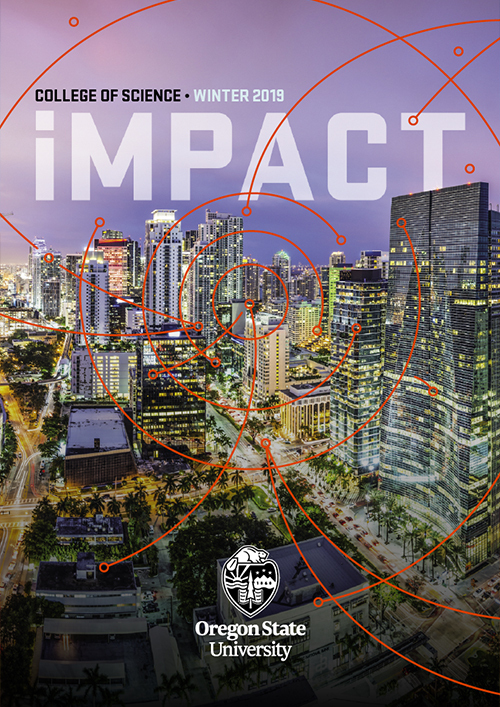 Yearning to make an impact and see more of the world, he also connected with OSU’s IE3 Global, a national organization that had recently established a presence on campus to provide international internships in a multitude of academic and professional fields in more than 50 countries. “I worked on my mom all of my sophomore year. She was scared for me to go so far away. So I gave her a lot of information, explained her all of my reasons for wanting to go, told her that it was safe. Eventually, I was able to convince her,” said Dang. In a relatively short time, Dang has amassed an impressive resume of global work experiences. Dang has already traveled the world—doing internships and learning about the world’s problems firsthand in India and Malaysia and will soon add Uganda and Kazakhstan to that list. He is fluent in his native languages of English and Cantonese and speaks proficient Spanish, Vietnamese and Mandarin. In 2016, Dang received a Gilman International Scholarship funded by the U.S. Department of State that enables students of limited financial means to study or intern abroad to gain skills critical to national security and economic competitiveness. The scholarship supported a Clinical/Social Medicine Observational Internship at the Pravara Institute of Medical Science in Maharashtra, India, that summer. To support his education both in and out of the classroom, Dang sought out every scholarship opportunity he could find. He was able to find support for all of his international learning experiences, including OSU’s Nicodemus Study Abroad Scholarship, College of Science scholarships and several from Good Samaritan Hospital, who gave Dang three awards. The scholarships shaped Dang in ways he had not imagined. This past winter term, Dang went to Malaysia for a three-month internship working with refugee workers through Tenaganita, a human rights organization that focuses on promoting and protecting the rights of women, migrant workers and trafficked persons. “I worked alongside some of the most amazing people. They work so hard to help these refugees escape poverty, war, persecution,” said Dang. He helped negotiate between refugee workers and the employers who kept refugees beyond the specified work period of five or six years, isolating them and feeding them little more than plain rice. During his internships, Dang gained international experience in grant writing, developing several proposals. One proposal was for $25,000 to aid the physical recovery of the refugees in Myanmar, provide counseling, teach them self defense, provide meditation skills for healing and training and skill building to empower them. Another Canadian proposal, the Burmese Ethnic Assistance Program, was for $65,000 to fund an initiative to compile all of the data from detention refugee camps—such as number of arrests, deaths, children, school enrollment, total detainees, etc—in order to feed into the community-based educational system and provide an education for the refugees. During his time at OSU, Dang received many College of Science and department scholarships to support his education, including Excellence in Microbiology, Joseph E. Simmons Scholarship, Fred & Mary Brauti Pre-Med Scholarship, a Merrill Family Foundation Scholarship, Nicodemus Study Abroad Scholarship (twice), IE3 Global Scholarship, OSU TRIAD Scholarship, OSU Retirement Association Scholarship, Dr. Larry A. Mullins Endowed Scholarship for Health Care Education, Oregon Scottish Rite Education Foundation Scholarship, Waldo E. Cummings Outstanding Student Award, Wei Family Foundation Scholarship and a Mark H. Middlekauf Scholarship. Last month Dang received incredible news: He was one of seven OSU students awarded a prestigious Fulbright Scholar English Teaching Assistantship to Kazakhstan. Dang will engage with students in and out of the classroom to share the English language and culture, and looks forward to celebrating Kazakh holidays with them. “I think it is always good to put yourself in situations for long periods of time where you need to develop a competency and experience a rolling ball effect,” said Dang, alluding to the new, distorted perspectives that abound from new experiences. Before heading to Kazakhstan, Dang is embarking on important humanitarian work in Kampala, Uganda, just two days after graduation. In a social entrepreneurship internship with TERREWODE, a grassroots women’s health and rights organization, he hopes to help women with obstetrics fistula. Driven by a strong sense of social justice, Dang’s project seeks to help these Ugandan women by telling the story behind the handicrafts they make in order to spread awareness about the efforts to end obstetrics fistula. Uganda suffers some of the most brutal rebellions in Africa, making it is difficult for healthcare to function effectively. To support himself financially, Dang launched a Go Fund Me campaign online. With a science degree in hand, Dang will traverse 9,005 miles to a country he has never visited to make a difference and start transforming the world. 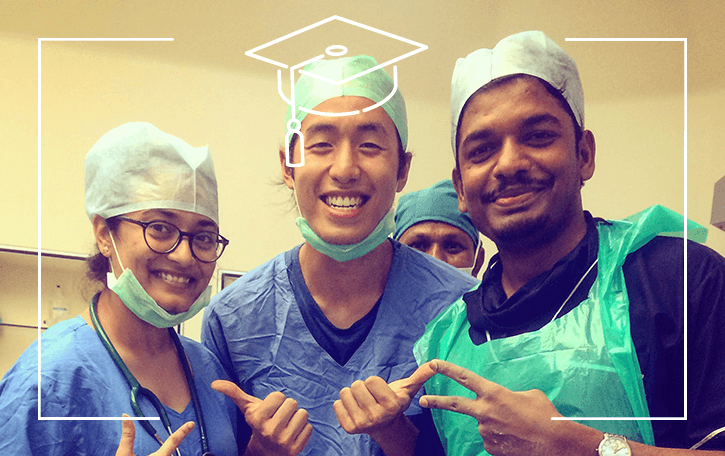 As he takes a gap year before medical school, Dang will work on building skills that may be missing and allow him to grow as a leader in med school. During his Uganda internship, he hopes to hone his communication skills. When asked what he would tell future science students, Dang offered this advice. Sounds like an Oregon State scientist. To learn how to apply to scholarships like the Fulbright, students can contact OSU’s Office of Prestigious Scholarships.